Merging has ever been most haunting and confusing activity among all the data manipulation activities. 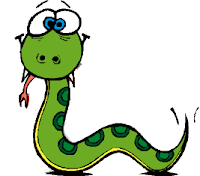 At Ask Analytics we are committed to make data science "fun to learn" for you . 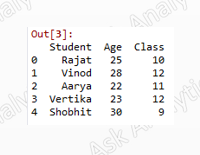 We did make merging easy to learn in SAS as well as in R earlier, it is time to learn the subject in Python. Practice more and more, as practice makes everyone perfect (not just man). What would you prefer to merge two datasets in SAS : Proc SQL join or Data step merge? 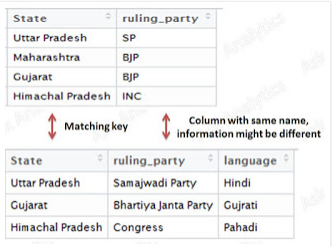 # In the above example, the matching key's values were common, now we are taking up a case where the matching key's values are not same across datasets. 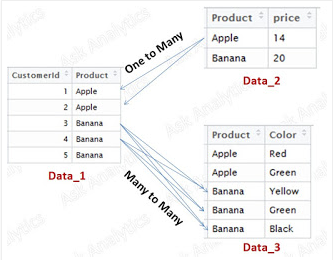 # You can see , in case on many to many join, it makes a Cartesian product, similar to SQL join. 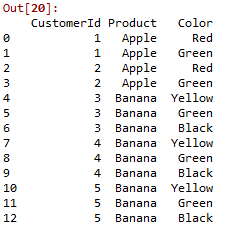 Imagine, if same set of information (same column across datasets) is there in the the datasets, how would python merge these. Would the column bearing same name as in another dataset would replace it ?